Love Tenderstem® and it loves you back. Tenderstem® doesn’t just look and taste great, it also does you a whole lot of good. It’s full of vitamins and nutrients that carry all kinds of health boosting properties. Tenderstem® is perfect for anyone who loves cooking and eating good, wholesome food. It’s every bit as delicious as it is easy to prepare. So you can try something new without having to try too hard. Tenderstem® couldn’t be easier to prepare – you can eat the whole thing from tip to stem. And, even better, it doesn’t take long to cook. Whether you roast it, griddle it, grill it, steam it or eat it raw, it’s a quick way to get great flavour on your plate. Crunchy, full of flavour and packed with goodness. And that’s no accident. It’s the (perfectly natural) love child of Chinese kale and broccoli, fused together by Japanese scientists using classical plant-breeding techniques. 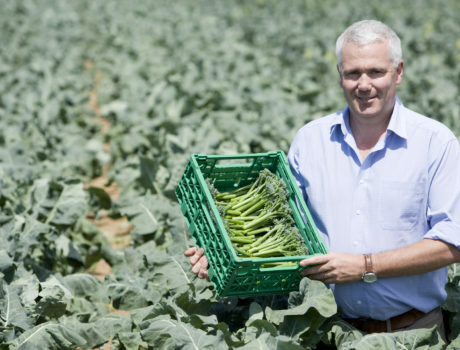 So, how does Tenderstem® taste? It’s hard to describe exactly what Tenderstem® tastes like (after all, there’s no other veg quite like it). The truth is it has a sweet, delicate, nutty flavour, similar to asparagus, all wrapped up in a gorgeous crunch. Introducing the colourful, soft textured, buttery flavoursome cousin of Tenderstem® - Tenderstem Royale®. Distinctively darker in colour with purple hues this innovative veggie is packed full of nutritional goodness. Serve raw as part of a colourful crudité selection, toss in sesame oil for a flavourful stir-fry, or serve as a side to your favourite, can’t-go-wrong roast. Pick your pack of Tenderstem Royale® all year round exclusively at M&S. It’s tasty, versatile, and packed with nutrients. Find out more about Tenderstem® with our top ten list of things we love about the good green vegetable. 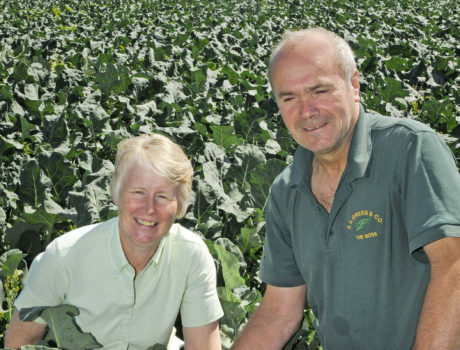 Tenderstem® growers are a mighty interesting bunch. 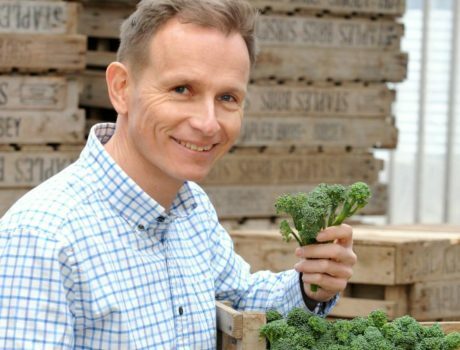 Find out how they fell head over heals for our wonderful veg.